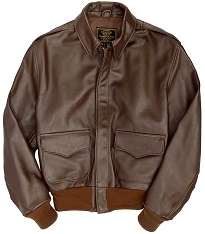 The Legendary Fighting Falcon USAF style A-2 Flight Jacket was inspired by the Thunderbirds - the Air Force Air Demonstration Squadron known for flying their F-16 Fighting Falcon fighter jets through an amazing synchronized flight exercise. This is the current USAF A-2 pattern approved by US Dept. 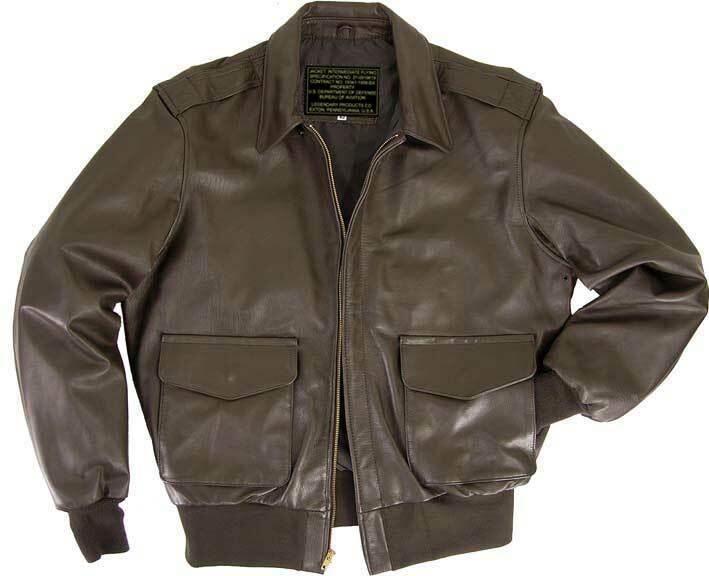 of Defense - genuine military spec patterns for true authenticity and is designed in cowhide leather (currently approved by the USAF), which is extremely durable - will take many years of use and abuse! Long versions available in sizes 42-52. I received this jacket last week. What an awesome coat, fits well, well made and looks great when zipped up. I'm 5 foot 10 and weigh 177 lbs with a long torso. Looking at the size charts I selected a 42 regular. I'm glad I did not take the 40 as was suggested by sales as this fits me perfect. This feels true to fit not 1/2 size bigger although my shoulders are a bit broader from competitive rowing. Pay attention to the size charts. Take a jacket you think fits you well and measure it according to the chart. Shoulders are measured across the back seam to seam and chest across the front armpit to armpit. 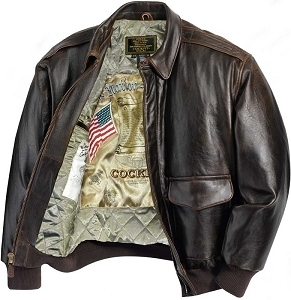 This is a well made coat in the USA and the details are perfect. I would highly recommend. Can't wait till it breaks in a bit and fades. 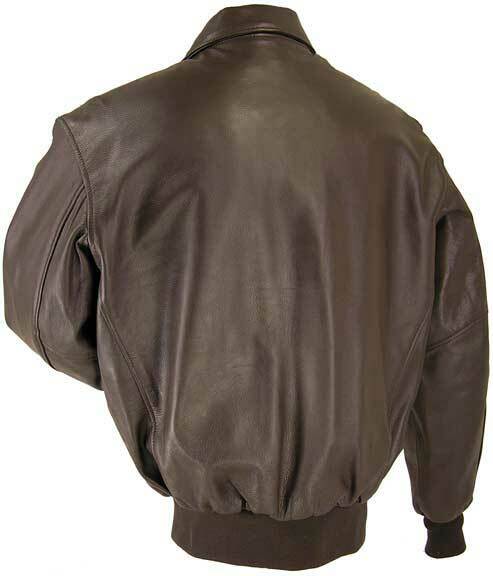 The jacket is very soft and has a nice finish. I recommend. I really like this jacket! VERY happy with this jacket. I've owned several A-2s over the years and none have fit very well. The Fighting Falcon has a roomier cut and it fits me perfectly. I'm 6'2," weigh 195 lbs. and ordered the 42 regular. 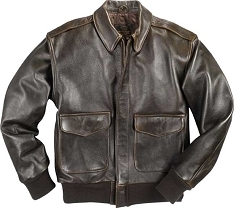 Very well made and of the A-2s I've tried recently, this one fit the best and was the most affordably priced. 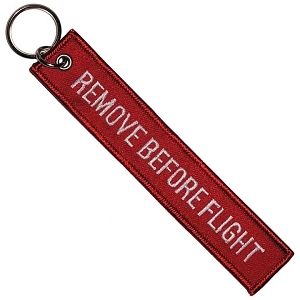 Fast shipping too. THANKS! 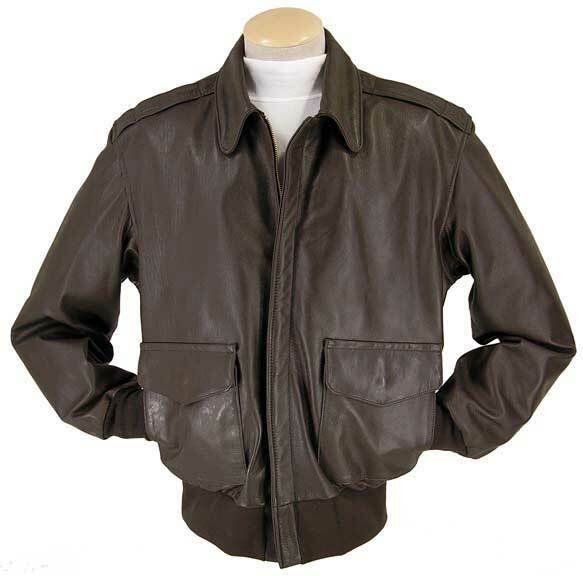 This is a very well made jacket with quality materials. I still have my Dad's from WWII but it's a bit small for me. This has the added feature of "hand warming" side pockets that were not in the original. The pockets are a bit small for me so I may have them opened up. I bought a 46 which is a perfect fit. I'm 6'5" and 240 lbs. I like the fact that it was made in the USA. Now we'll see if this one lasts 70 years. Fits perfect looks great, and is made of the highest quality. Adding nose art and will wear with pride.